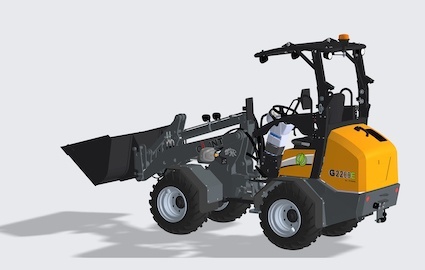 The models combine the advantages of an articulated loader with near silent operation and zero emissions, making them ideal for indoor applications or construction sites in urban areas. The G2200E machines can be configured according to customer requirements, beginning with the selection of a standard or X-TRA model. There is a choice of three lithium ion batteries as well as a plethora of optional extras. These include an EU certified cabin with safety roof or foldable safety roof, heating, and up to three double acting functions. This gives customers the opportunity to assemble the machine precisely for the work that needs to be done at a competitive price. The range will be demonstrated and exhibited at bauma in April.